Monster Entertainment will be launching ‘Hozier – Other Voices Special’ (1 x 50 min) at MipDoc 2015. This Other Voices series' special focus on Andrew Hozier-Byrne, the Irish singer-songwriter who became a worldwide sensation and features his first ever television appearance in Dingle. ‘Hozier – Other Voices Special’ reveals exclusive interview footage with Hozier, who taught himself how to play guitar and piano at 15, following in the steps of his musician father. The special also presents Hozier's live performances of songs such as ''From Eden'', ''Work Song'' and the hit ''Take Me To Church'', which was nominated for a Grammy Award for Song of the Year in 2015 and went to number two in the US and the UK, a feat matched by his debut album which is enjoying worldwide success. Previous specials from the Other Voices series have been well-received around the world, like the Amy Winehouse special, which was sold in 50 countries and to top broadcasters such as BBC, ZDF, WoWow and The Smithsonian Channel. The 13th season of the acclaimed music series Other Voices will also be launched soon, at MipTV 2015, and will feature intimate acoustic sessions and interviews with great artists like Damien Rice, Jessie Ware and Melanie de Blasio. 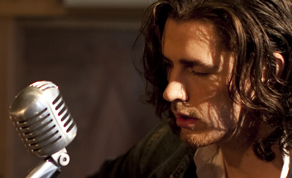 The Hozier special has already been acquired by RTE, YLE and the Arts Channel New Zealand.